It’s always healthy to map the fault lines between you and your film critics. I didn’t track with your “Greenberg” review at the time (can’t he be an execrable character in a sharp-eyed, witty film? ), and while I appreciated Whit Stillman in the ’90s, I actually walked out of “Damsels” after a half hour of sitting uncomfortably with the small audience that responded to whatever he was going for with a deafening silence. (I can’t remember the last time I up and left like that.) The difference between the critics and audiences on this one is vast. (I suppose you fall somewhere in between.) While I find Noah Baumbach to be lucid and brilliant, Stillman strikes me as hopelessly adrift. (The idea of a young man not knowing his colors is probably interesting, but it’s not funny or entertaining just in an of itself.) Or maybe it’s just a simple equation of what was clever or funny to me 20 years ago simply isn’t anymore. 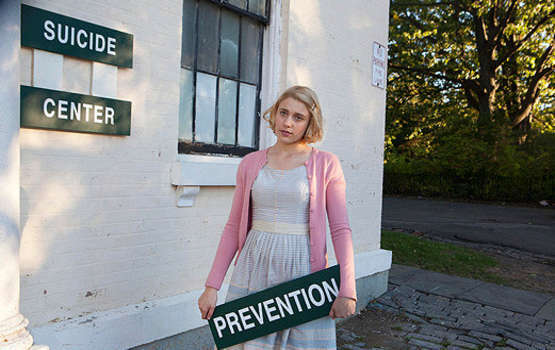 We agree, of course, on Greta Gerwig. Anyone who saw her four years or so ago during her minor-league tenure in the Mumblecore movement (“Nights and Weekends,” for instance) knew she was special. Beware, though: At the “Damsels” screening, we saw a preview of a film that places her on the brink of the mainstream, and it looks like a thankless role along the lines of the new bumbling Drew Barrymore. This is my most anticipated film of 2012, so I will come back and read our post after I’ve seen it (which might be quite a while from now ‘cos there’s not a big market for Whit Stillman out here in east Asia).